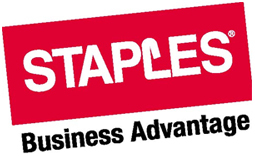 Oregon Aglink has a partnership with Staples Business Advantage, the business-to business division of Staples, Inc. The Staples Business Advantage program gives Oregon Aglink members access to pricing that cannot be found in Staples retail stores, mail order catalogs, or online. The program offers an average discount of 60% off manufacturer list prices. Whether you phone, fax or order online, Staples offers fast (usually within 24 hours) and free delivery on all orders over $30. By joining, you will have access to StaplesLink, an award winning business-to- business website that lets you view more than 30,000 products with real-time inventory updates. You can also create customized shopping lists, track orders, set limits, view reports and make returns online. Register today to take advantage of this program! Please fill out the form below online or download the Staples Business Advantage Registration and return it via fax or email or mail as directed on the form. Contact Allison Cloo, Program Coordinator at 503-595-9121 x 103 if you have any other questions.